Today we'll once again discuss one of the most remarkable types of media — Video games. Interactive nature of multimedia games makes it possible to tell stories in bold and original ways, allowing players to experience the narratives at their own pace. Or customize the player's experience by providing different story routes or even finales based on one's actions throughout the journey. Some projects can only work in the form of a videogame, especially those which rely heavily on player choice as well as provide replayability by changing some of the aspects of the game, essentially turning it into an endless experience. Among the games we play there's a range of particularly impressive narrative-driven titles which tell some very complex stories by taking the player through the whole spectrum of emotion: there's no black and white, there are no cliché Hollywood endings, — only non-polarized, deep, sometimes even dark topics put under scrutiny. They raise philosophical questions about the world we live in, the things that make us who we are, the human condition in general and the meaning of it all, without giving pre-digested answers, but rather making the player think, sometimes even causing one to lose sleep over the choices made or events experienced. 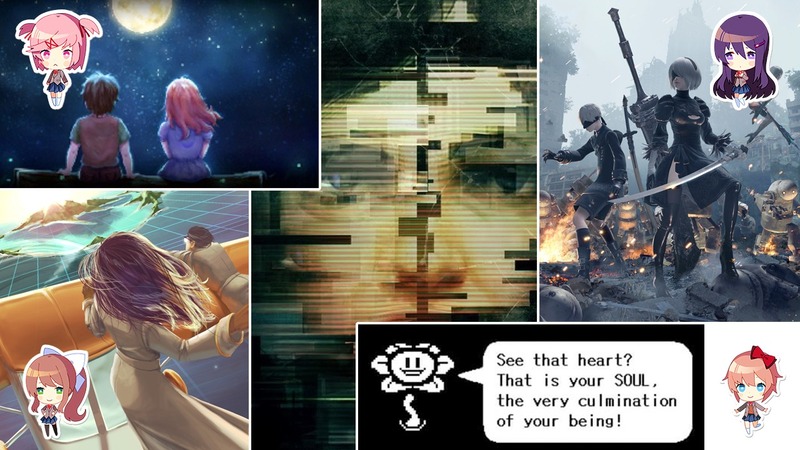 I believe these Games are the pinnacle of interactive storytelling and some of them deserve universal praise and simply must be played, — no, experienced by everyone, regardless of age, gender or previous gaming experience. Just like a well-cooked and masterfully spiced meal astounds one with a symphony of taste, these Games deliver some of the most intense experiences one can expect from a multimedia project.